Lots of people told me that this was a book I needed to read, but many of those people also warned me that I might find it slow – which is a blessing and a curse. I went into The Thirteenth Tale prepared for a story that moved at a slow pace, so if you can DON’T DO THAT. There was not a slow moment in this story, I thought it was dynamic and exciting. I was intrigued by the mystery, captivated by the characters and caught up in page after page of well-written family drama. "All children mythologize their birth...So begins the prologue of reclusive author Vida Winter's collection of stories, which are as famous for the mystery of the missing thirteenth tale as they are for the delight and enchantment of the twelve that do exist. 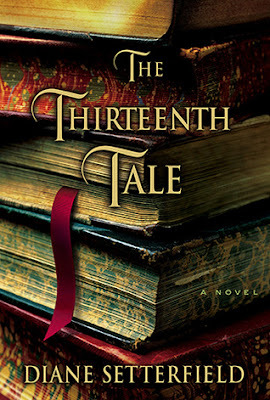 The Thirteenth Tale is a love letter to reading, a book for the feral reader in all of us, a return to that rich vein of storytelling that our parents loved and that we loved as children. Diane Setterfield will keep you guessing, make you wonder, move you to tears and laughter and, in the end, deposit you breathless yet satisfied back upon the shore of your everyday life." Have you read it? What did you guys think?